I LOVE when a customer gives me a theme and I can go crazy – I get to try new techniques and experiment a little! This was one of those cakes. 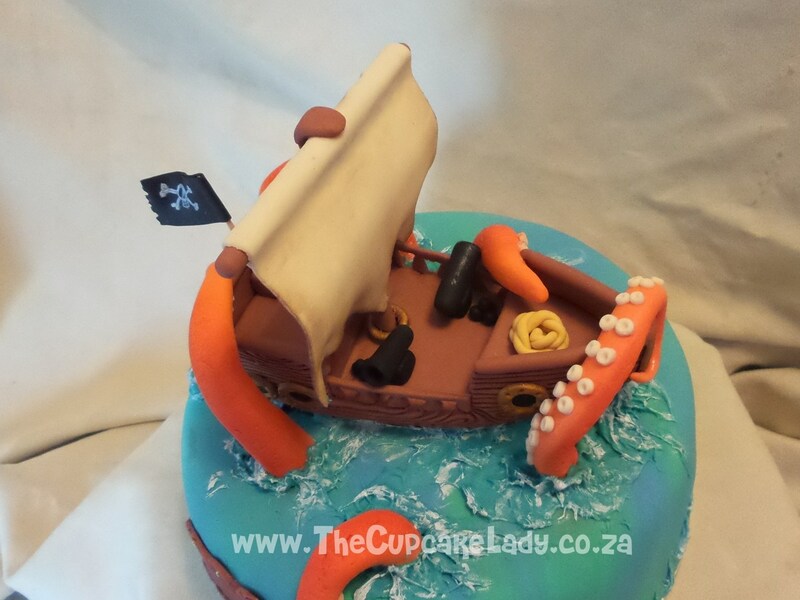 Eithan’s mommy wanted a cake with a pirate ship on top for his 4th birthday party, so I tried a new sugar paste technique for the water and added the tentacles for fun. 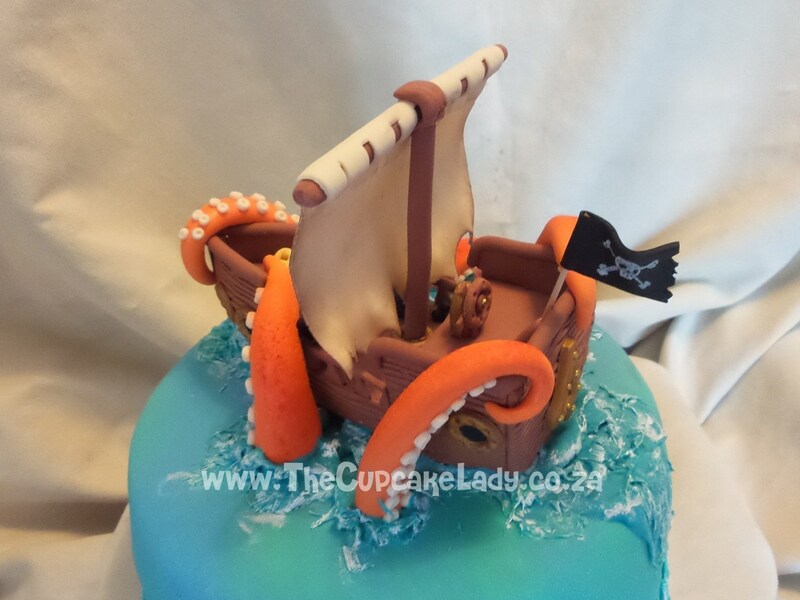 The cake inside is vanilla with caramel butter icing, and it’s covered in a blue and green sugar paste to represent sea water. 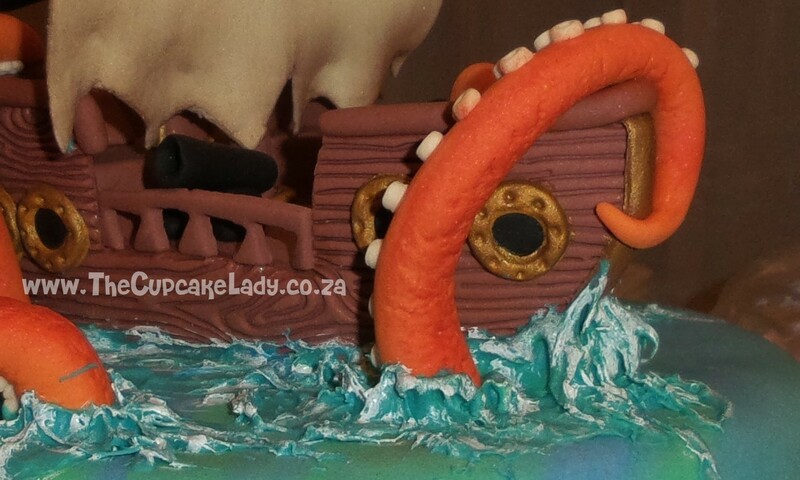 The entire pirate ship and the giant squid tentacles are sculpted from sugar paste – by me, of course! I was very pleased with how this cake turned out. It’s amazing! 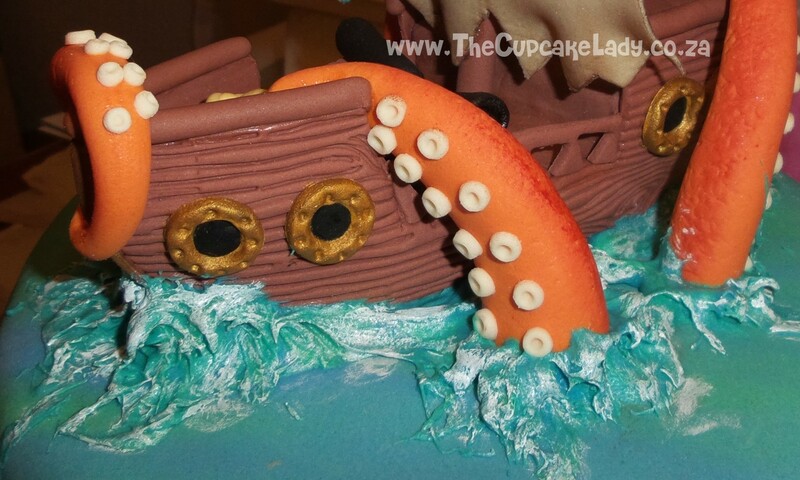 I LOVE the tentacles! 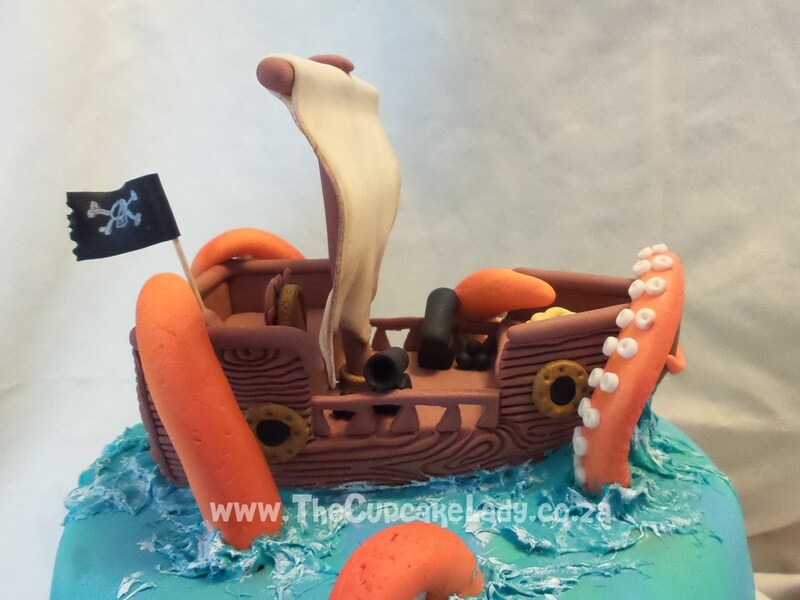 That sugar paste technique is incredible, looks like a real version of Pirates of the Carribean, this cake!